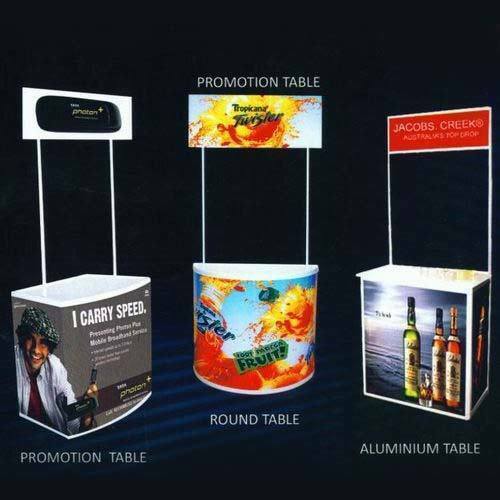 We are a company which is well known in the market for the wide range of services which we offer to the customers and the Promotion Tables which are high on demand in the market among the companies have been designed in an attractive manner and they have a very sturdy make. These services have been priced at very reasonable rates in the market and they offer a high performance to the customers and offer a long lasting service to the customers. Design O Print is managed by Mr. Arun Seth as CEO. He has a vast experience in conceptualising & designing of publicity materials for the last 12 years. He has worked in an Interior design & decoration company for 24 years prior to that. He is assisted by his associates in executing his concepts, who have large & appropriate experience in the printing & finishing industry. Our Company is well networked in the industry & that results in immediate information of any new development of product, Processes & devices to make continued improvements to increase our customer satisfaction level. Design O Print The Company is certified to be ISO 9001:2008 Compliance since 2006. The Company is also a member of the premium association of India, i.e Confederation of Indian Industries.